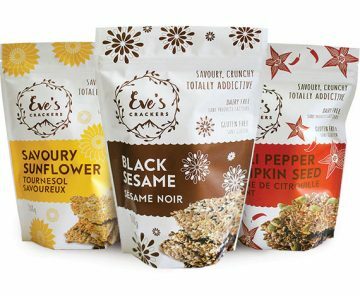 At Eve’s Crackers, the vision is simple: make people happy with something satisfying and healthy. Made with love on the coast of British Columbia, its oh-so-savoury, keto-friendly, plant-based toasted crackers are loaded with nutrient-rich, high-fibre seeds and vegan ingredients that are free of gluten, dairy, added sugar and oil. Poet Sora and his wife Hiro traveled the world before settling in vegan-friendly Vancouver, where they founded Vegan Pudding & Co, a small take-away-window shop where Hiro’s truly incredible, silky custard puddings are sold. 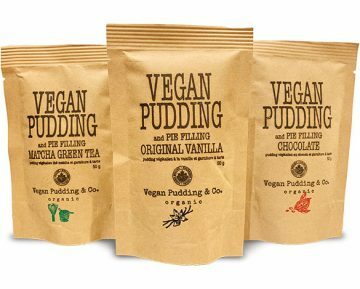 Available now as certified organic powder mixes, gluten, nut and soy free Vegan Pudding & Pie Filling varieties are made with kabocha squash and other plant-based ingredients packed in biodegradable craft bags. 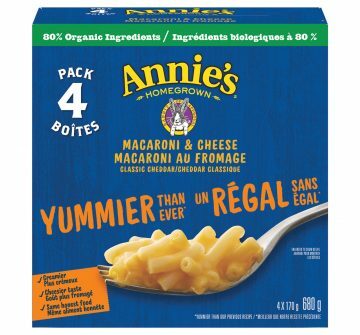 Available this month in a 4-Pack of 170g boxes, Annie’s Classic Cheddar Macaroni & Cheese features a new creamier, cheesier tasting recipe made with organic pasta and real cheese and milk ingredients. Annie’s works closely with trusted suppliers to source only non-GMO ingredients. 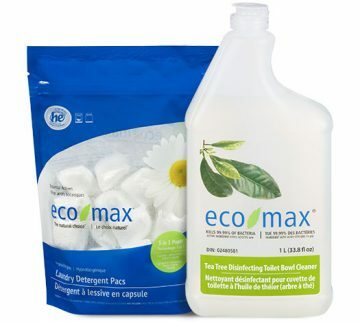 Certified by EcoLogo and made entirely from renewable, sustainable, plant-based ingredients, biodegradable, non-toxic Eco-Max products are designed for minimal impact on our environment and never tested on animals. Scented varieties incorporate soothing, therapeutic-grade essential oils instead of irritating, synthetic fragrances. Based in Saint-Bruno-de-Montarville in Greater Montreal, Four O’Clock certified organic, GMO free infusions and blends offer herbaceous, spicy, floral and fruity flavours inspired by the travels and culinary discoveries of its mixologist. 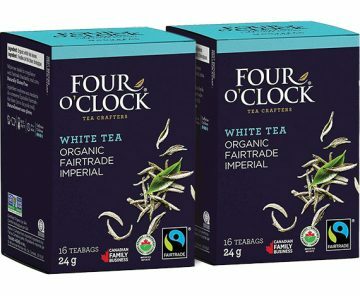 Committed to fair trade, respect for grower communities and environmental sustainability, its black, green and herbal varieties are contained in staple-free, compostable teabags packed in boxes made with recycled, recyclable cardboard. Imperial White delights with the fresh, light, herbaceous taste of Himalayan tea buds. New look and pack size. 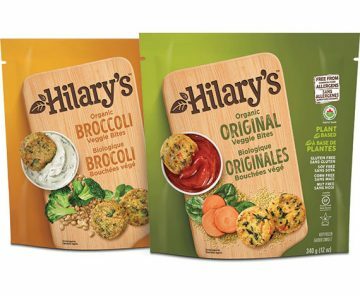 Hilary’s creates its delicious, culinary-inspired Veggie Bites from real, minimally processed ingredients, including whole grains and vegetables, which are free from most common allergens. Each certified organic, Non-GMO Project verified, plant-based variety is free of gluten, corn, eggs, dairy, soy, and nuts. 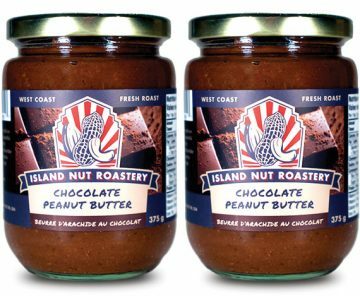 Island Nut Roastery artisan nut butters are made fresh by hand as orders are received—no assembly lines, no deep fryers—only the highest quality nuts are roasted in small batches without oils or additives. It’s a simple process that works wonderfully well for this proud, family-owned Vancouver Island business. New this month and sure to jump-start the taste buds, its classic peanut butter is blended with dark chocolate and a touch of sea salt. 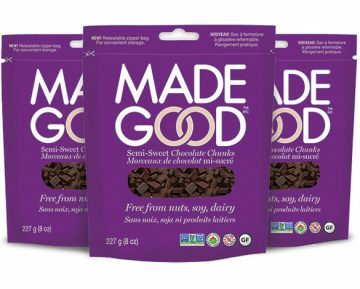 MadeGood semisweet chocolate chunks are allergy friendly and perfect for home-baking recipes to make nut free snacks and treats. Delicious, certified organic and non-GMO verified chocolate without nuts, dairy or soy is made in a dedicated facility free from common allergens—a great choice for gluten free diets. Maison Orphée Fresh Mayonnaise varieties are made with short and simple lists of recognizable all-natural ingredients. Free of preservatives like EDTA, lemon juice and organic apple cider vinegar allow optimum preservation naturally. Made with sunflower oil and eggs as main ingredients, these home-style mayos contain no refined oils, sugar or spices. 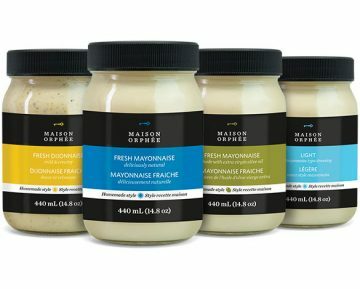 Founded in 1983 and based in Québec City, Maison Orphée is a Canadian market leader in cold-pressed cooking oils and condiments. 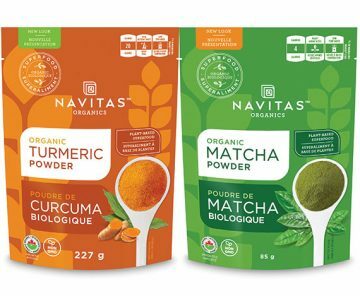 Navitas Organics searches the globe for the highest-quality, nutrient-dense organic superfoods while it celebrates health and supports sustainable causes as a Certified B Corporation. Its antioxidant-rich Matcha Powder is a premium culinary-grade, lush green tea that supports energy and alertness and offers balanced, subtle flavour. Navitas sources organic Turmeric Powder specifically from a source high in curcumin, the revered compound that gives turmeric its anti-inflammatory properties. Nutiva was founded in 1999 with a single purpose in mind—to revolutionize the way the world eats. Today, it nurtures vitality by conscious curating of the world’s finest plant-based organic foods and donates 1% of sales to programs that support sustainable farming, food and environmental activism, trees and gardens, and healthy communities. 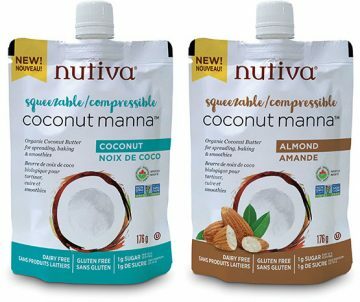 Its certified organic, non-GMO verified Coconut Manna varieties are puréed coconut butters—tasty whole superfoods made from pure dried coconut flesh—packed in squeezable pouches. 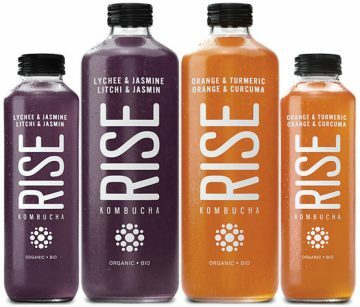 Montréal’s Rise Kombucha begins with purified, filtered water that’s infused with herb and root-based, natural flavours and fair trade, organic, non-GMO ingredients like green, white and black tea leaves and raw, unrefined golden cane sugar to create a lightly sweetened tea, which is then fermented with beneficial bacteria and yeast cultures. The result is a unique kombucha that’s packed with probiotics, amino acids, and enzymes and boasts tangy flavour that sparkles. Infused with premium oolong tea, Lychee & Jasmine and Orange & Turmeric varieties are new this month. 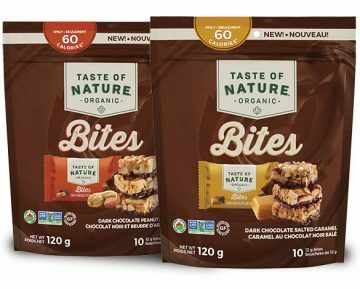 Individually wrapped for easy sharing, Taste of Nature Bites are organic, Non-GMO Project verified, gluten free snacks, which are made in Canada with sustainably grown nuts and real dark chocolate. Dark Chocolate Peanut Butter and Dark Chocolate Salted Caramel varieties pack only 60 calories per Bite but taste like true indulgences. 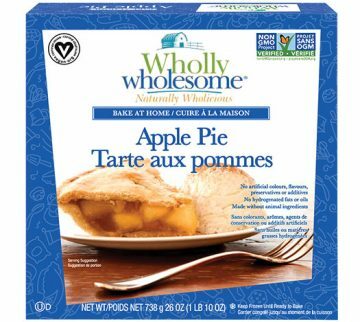 Wholly Wholesome makes dessert as “easy as pie” with its selection of delicious, all-natural, bake-at-home pies. Loaded with luscious fruit and enveloped in flaky crusts made without animal ingredients, 8-inch Apple, Blueberry, Cherry and Pumpkin varieties are Non-GMO Project verified and free of hydrogenated fats or oils.